The Show Committee would like to say a massive thank you to everyone who made today’s Woodbridge Horse Show such a big success. We hoped you enjoyed yourselves as much as we did. Results and photos will follow in the next few days. The Secretary’s Tent is open, the first horses are arriving and classes get underway in less than half an hour. Welcome to the 2015 Woodbridge Horse Show. Comments Off on It’s show time! Posted on 03/05/2015 | Comments Off on It’s show day tomorrow…..
Don’t forget that the 2015 Woodbridge Horse Show is TOMORROW at Trinity Park, Ipswich. Classes start at 8am and will continue throughout the day ending at around 5pm. Entrance for the general public is £5 for adults and FREE for children. To ensure the day runs smoothly for everyone, competitors are requested to familiarise themselves with the Woodbridge Horse Show Byelaws and any Affiliation regulations that may apply to their classes. Competitors are also reminded that hard hats (PAS 015 or EN 1384) must be worn at all times on the showground when riding. In the interest of safety please take care when moving around the showground and remember that horses should be kept to areas marked “Horse Walk” and spectators should remain in areas marked “General Public Area”. The weather is currently looking good and we will be taking entries for Light Horse classes on the day so there is still plenty of time to make sure you are a part of this year’s show. The Show Committee would like to thank you all for your continuing support and look forward to welcoming you to the Show. Comments Off on It’s show day tomorrow…..
It’s less than a week now until the 2015 Woodbridge Horse Show so don’t forget to get your entries in as soon as possible. Even if you are not competing there is still plenty to do with Showjumping classes, Suffolk Horse classes, Farrier classes and Dog Agility throughout the day. The Grand Parade and cup presentation takes place in the afternoon. Members are entitled to free entry/parking in the members ringside area. General public entry is £5 per adult, children free with free car parking in the allotted area. Cars accompanying competitors in lorries can park in the lorry park at their own risk, at a charge of £10 per car, payable at the gate. The Lusitano classes are now being judged by Mrs F Clark and the Hunters, Cobs and Riding Horse classes are now being judged by Mrs N Graylen. Entries for all Light Horse classes in the 2015 show are still being accepted. Please go to https://woodbridge-horse-show.org.uk/schedule/ for more information and Light Horse entry forms. The Woodbridge Horse Show is proud to introduce our President for 2015 – Mrs Karen Nunn. Karen’s love of horses began as a child in the New Forest where she mucked out stables at a riding school in return for pony rides. 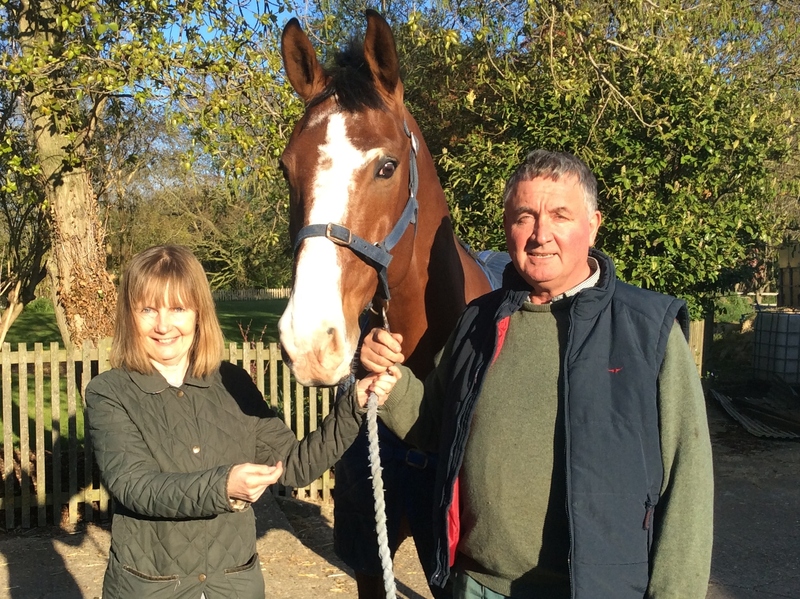 For the last 22 years she and husband David have run a large livery yard on their farm near Mendlesham where they keep their two horses and a pony. The Woodbridge Horse Show is a permanent fixture on the family’s calendar and Karen says they have had wonderful times at the show in past years. David is a long serving steward and all three of their children have competed at the show especially in the gymkhana rings. Their son James, who is now 34, still likes to attend the show they are hoping their grandson will follow suit in a few years. It’s not just the couple’s children who have competed at the Woodbridge Horse Show, Karen herself has shown her Welsh Ponies on many occasions. Karen says she is very much looking forward to being President in 2015 and is interested in witnessing how the Show Committee work together to organise, as she puts it, such a fabulous event. Mostly though she is hoping for a warm, fine day and being able to welcome as many of you as possible.